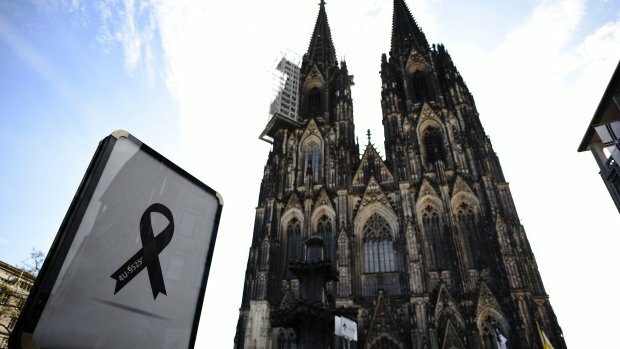 Germany is holding a memorial service at Cologne Cathedral for the victims of last month’s Germanwings plane crash in French Alps. Relatives of the dead passengers have formed part of the 1,500-strong congregation, along with German Chancellor Angela Merkel. Transport ministers from France and Spain are attending, along with Lufthansa chief Carsten Spohr. Co-pilot Andreas Lubitz is accused of deliberately crashing the Germanwings Airbus on March 24, killing 150 people. A candle for each of the victims has been placed on the altar and flags are flying at half-mast across Germany. Mourners were invited to leave flowers on the stairways leading up to the cathedral and large screens have been erected for crowds gathered outside. German President Joachim Gauck and Spain’s Interior Minister Jorge Fernandez Diaz were also expected at the service. The memorial service is being led by the Archbishop of Cologne, Cardinal Rainer Maria Woelki and the president of the Protestant Church of Westphalia, Annette Kurschus.